In the intervening five years, I’ve called out scores of reporters for writing sloppy, one-sided articles about the city’s school system, all of which follow a predictable formula, generally quote the same handful of people (while curiously never asking basic questions about their ties or motivations), and invariably get the story wrong. Nevertheless, the garbage stories about public education in New Orleans just keep on coming. Case-in-point: “The Battle for New Orleans Public Schools,” an article from freelance journalist Zoe Sullivan that recently appeared in Next City. To put it bluntly, Sullivan’s story is advocacy masquerading as journalism. She gets her facts wrong, makes several misleading claims, and selectively omits relevant information throughout the article. Moreover, the topic involved and the cast of characters featured in the piece suggest that Sullivan was fed a story which she was more than happy to promote. And once again, it’s the same ideologically-driven, nuance-free story that many so-called journalists have written before, in which the pre-Hurricane Katrina school system’s problems are minimized, the progress that schools have made since the storm is called into doubt, and readers are left with the false impression that the community wants to do away with the city’s charter schools. She cherrypicks data and doesn’t check her facts. Sullivan begins her article by claiming that “black teachers now make up less than half of the city’s teaching corps,” citing a 2016 article in Slate, which in turn, cites a report based on data from 2014. So, the numbers she’s using are five years old. 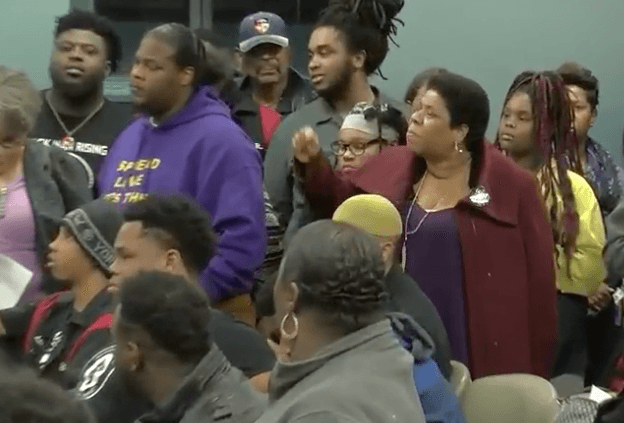 However, had Sullivan taken the time to conduct a little internet research, she would have learned that a majority of the district’s teachers are indeed black. According to teacher data compiled by the Cowen Institute at Tulane University, just over half of the city’s educators were African-American and nearly 60% were people of color in the 2017-18 school year. Graphic from the Cowen Institute’s 2018 State of Public Education in New Orleans report. Sullivan also has trouble getting her facts right when she turns to the recent debate over the fate of McDonogh #35, a storied New Orleans high school that was once one of the highest-performing schools in the city, but has been struggling academically over the past several years. There’s just one big problem: McDonogh #35 was never taken over by the state. McDonogh #35’s high academic performance meant that it was one of the few schools that escaped state takeover by the Recovery School District in 2005. It has remained under the direct control of the Orleans Parish School Board (OPSB) ever since. 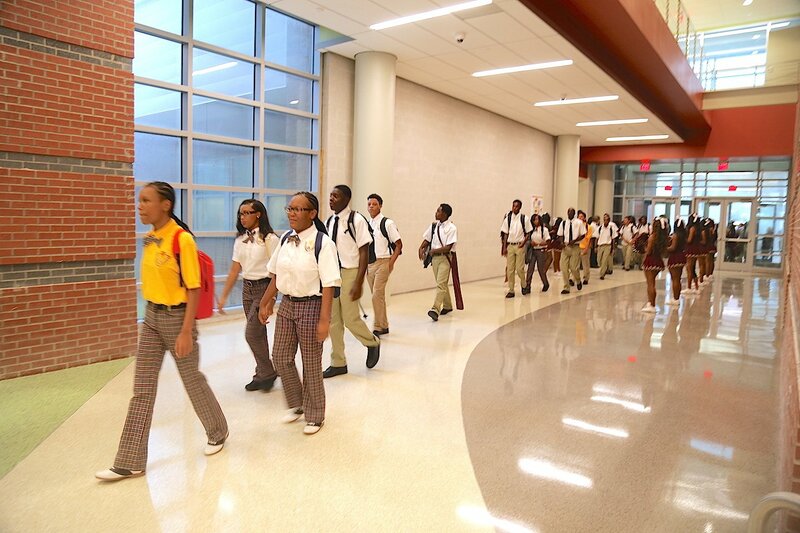 Furthermore, the board voluntarily decided to jettison McDonogh #35’s selective-admissions system when the school reopened after the storm because families who were returning to the city needed to get their children back in school as quickly as possible. So, contrary to Sullivan’s claim, state officials had absolutely nothing to do with McDonogh #35’s academic slump. Instead, that responsibility falls squarely on OPSB, which last month voted to hand over the management of McDonogh #35 to InspireNOLA Charter Schools, a local, black-led charter network with a proven track-record of turning around failing schools. Sullivan insists, “alumni see closing McDonogh 35 as inflicting a wound.” However, as noted above, the school isn’t technically closing; it’s simply being transferred to new management. Moreover, the insinuation that alums were united in their opposition is hard to square with the fact the McDonogh #35 Alumni Association recently announced it was partnering with InspireNOLA to launch a new student recruitment campaign aimed at boosting enrollment at the school next fall. Get the facts straight: Sullivan blames the state for McDonogh #35’s poor academic performance, even though the state never took over the school. However, that’s only half right. 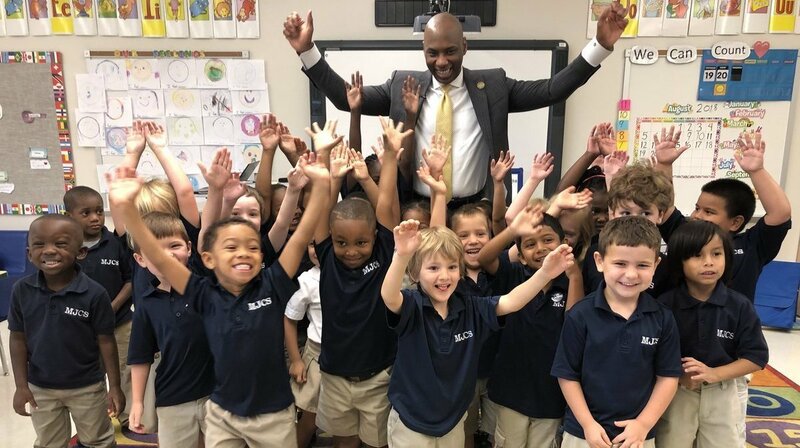 It’s true that Louisiana changed their school accountability formula in 2018 – along with every other state in the country – to align with the new requirements of the Every Students Succeeds Act. (It’s also worth noting that changes adopted in the Bayou State actually make it harder for schools to receive a good grade.) But last year, the Louisiana Department of Education (LDOE) also intentionally issued two sets of school grades in 2018 – one set calculated with the new formula and the other with the old formula – to allow the public to directly compare school performance across years. So, it wasn’t difficult at all to compare year-over-year performance of New Orleans schools in 2018, which Sullivan would have realized had she bothered to simply look at the raft of accountability data LDOE provides on its website. This is journalism nerdiness, but I got to put on for my state. We only ever hear about how bad Louisiana is, but its dept of ed has the most transparent data website I’ve ever seen. Seems like there is no measure they don’t post. Would love to see other states do this. For one thing, it’s unclear why Sullivan would cite this as evidence that charters perform no better than traditional public schools, since the research showed that they outperformed in a majority of cities. Nevertheless, the bigger issue is that she omits the fact that this very same study showed that New Orleans charter students outperform their peers in traditional public schools in both math and reading. She doesn’t acknowledge who her sources really are. Another major problem with Sullivan’s piece is that while she interviews several individuals in her story, she doesn’t fully disclose who they are in terms of their backgrounds, affiliations, etc. Take Ashana Bigard, for example, who is prominently featured throughout the article. Sullivan leaves readers with the impression that she is just your average New Orleans public school parent who is fed up with the school system. Ashana Bigard (at right, in maroon coat) disrupts last month’s OPSB meeting. In reality, she’s an activist and organizer whose work is funded by the teachers unions. She’s one of fifteen Progressive Education Fellows (a list that includes several prominent anti-education reform voices) who are paid to write and promote anti-charter diatribes which are published by the magazine, The Progressive. 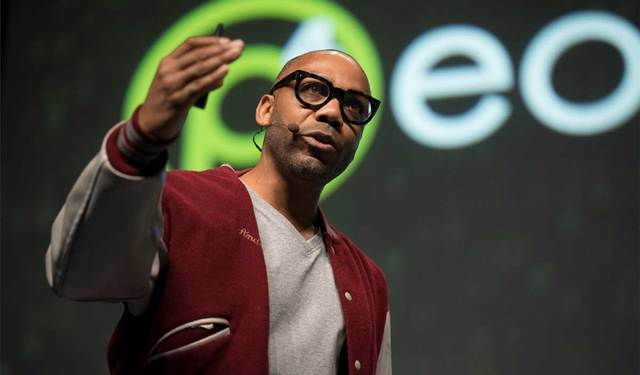 Annual reports filed with the U.S. Department of Labor show that the National Education Association (NEA) and American Federation of Teachers (AFT) bankrolled the project. She’s also a consultant for Friends & Families of Louisiana’s Incarcerated Children, an organization that gets funding from from two organizations – the Schott Foundation and the Advancement Project – which together have received nearly $2 million from AFT and NEA over the past five years. Sullivan never reveals any of this. Andre Perry not only studied charter schools in New Orleans, but ran them into the ground. His short tenure at the helm of Capital One/New Beginnings Charter Schools was a complete disaster. His schools suffered from poor performance, high suspension rates, and before he knew it he was shown the door. Given that fact, most journalists would probably turn to someone else for an unbiased view on charters or, at the very least, give readers a clearer picture of his background. Let’s get something straight: The pre-Katrina school system was actually horrible. It was the second lowest-performing district in a state which perennially has been at or near the bottom of national education rankings. Nearly half of public school students didn’t graduate from high school. Most school buildings were in a sorry state of disrepair. Corruption pervaded nearly every level of the school system. In short, anyone who experienced the educational disaster that was New Orleans Public Schools prior to the storm would have to be delusional to assert otherwise. Sullivan also never mentions that part of the reason why schools didn’t have the resources and money they needed back then is that Cowart and others were literally robbing the district blind. In 2004, Cowart was one of eight school system employees indicted by the U.S. District Attorney’s Office under the Hobbs Act for her participation in a scheme that defrauded the district of $70,000. She eventually pled guilty to the charges. Maybe someone who stole from the school system isn’t the most reliable source? In light of this fact, Cowart’s nostalgia for the old days begins to make sense: It was a complete free-for-all in which the adults running the district could enrich themselves at the expense of kids… at least until the FBI showed up. What doesn’t make sense is that Sullivan would consider her a reliable source for this story. While there are other problems in Sullivan’s recent article on New Orleans schools, I’ll give it a rest because I think I’ve made my point. No self-respecting reporter – or editor, for that matter – would consider this a fair and balanced take on the state of the city’s public schools. The difference between journalism and advocacy is that the former starts with the facts to develop a narrative, while the latter starts with a narrative and tries to find facts to support it. The numerous problems in Sullivan’s piece make clear that she was pushing an agenda, not seeking the truth. Last week, The Intercept published an article by Aída Chávez and Rachel Cohen claiming that education officials in Puerto Rico are planning to take over the territory’s traditional public schools and convert them to charters. Aída Chávez and Rachel Cohen. To put it bluntly, it’s a great work of fiction, but a terrible piece of journalism – one that’s piled high with inaccuracies and unsubstantiated claims. It also lacks any pretense of journalistic objectivity, presenting charter schools and the reformers behind them as boogeymen intent on destroying public education. Although Chávez is a relative newcomer to the education reform war, for those who are familiar with Cohen’s previous work at the American Prospect, the anti-reform bias of this piece should come as no surprise. That being said, the issues in Chávez and Cohen’s recent article are particularly egregious and I’ve therefore decided to pick apart the six biggest problems below. 1. There is no evidence that officials are plotting to “privatize” Puerto Rico’s public schools. Chávez and Cohen open their piece with a vignette about the struggle to reopen Escuela Adrienne Serrano, a small school on Vieques, in the aftermath of Hurricane Maria. Although teachers and administrators almost immediately went to work to get the school up-and-running again, education officials told them they could not reopen until the building was inspected to ensure it was safe. The staff ignored the directive and began welcoming back kids until recently, when they ran out of potable water. Now, they have to turn students away. That’s a pretty bold statement. Most journalists would want to provide evidence and additional context to substantiate such a claim. For example, who exactly has had the long-standing goal of privatizing the commonwealth’s public schools? What steps have those nameless figures taken in the past to advance it? How are they taking advantage of the disaster now to takeover schools? We’re never told the answers to any of these questions. Instead, Chávez and Cohen cite an October news article (rough English translation here) in which the director of Puerto Rico’s Public-Private Partnership Authority “spoke optimistically about leveraging federal money with companies interested in privatizing public infrastructure.” However, if you actually read the article they link, you won’t find any mention of schools or the education system because the director was referring to a plan to outsource concessions and toll collection at Luis Muñoz Marín International Airport in San Juan. How does that constitute proof of a plot to privatize public schools? I’m not sure either. 2. They distort statements made by P.R. Secretary of Education Julia Keleher (and Keleher herself). To the authors, this is proof that Keleher has “already called New Orleans’s school reform efforts a ‘point of reference.’ ” But was she referring to NOLA school reforms or the challenge of rebuilding schools destroyed in a disaster? The fact that her tweet includes photos of construction sites and a newly built school suggest it’s the latter. Before turning to other matters, the authors add that Keleher ran a management consulting firm prior to her appointment as Secretary of Education, while curiously omitting more relevant biographic details, like the six years she spent at the U.S. Department of Education or the seven she served as a district administrator. Are they trying to suggest to readers that she comes from the business world and therefore must be a “corporate privatizer” hellbent on dismantling Puerto Rico’s public schools? Me thinks so. 3. 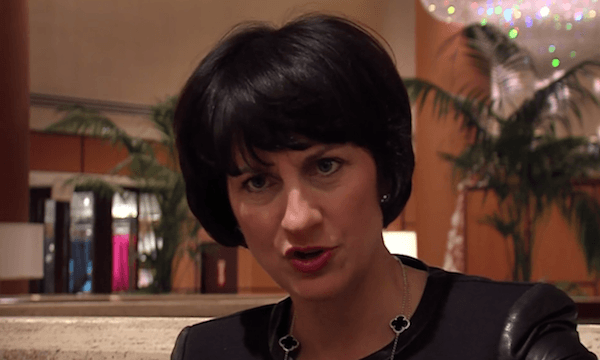 No, Jeanne Allen wasn’t involved in New Orleans’ school reform efforts. Next, Chávez and Cohen turn to Jeanne Allen, CEO of the Center for Education Reform, who true to form, tells them exactly what they want to hear. Allen says she believes reformers “should be thinking about how to recreate the public education system in Puerto Rico,” and hopes that both brick-and-mortar and virtual charters will turn their attention to the island. Of course, Allen is entitled to her opinions, but that doesn’t mean anyone is listening to them. In fact, she admits that folks in the reform community haven’t been talking about Puerto Rico at all, which undermines the contention that they’re working from the top down to seize control of the public schools. Chávez and Cohen also make the confounding claim Allen was “involved in the New Orleans school reform efforts,” which has no basis in fact. It’s hard to see how Allen could have been involved, when she was running the Center for Education Reform over 1000 miles away in Washington, D.C. at the time. When I raised this issue with Cohen on Twitter, she never responded. I guess I can understand the silence. I mean, who cares about facts when you’re selling readers a bill of goods? 4. They make up facts about New Orleans’ post-Katrina school reforms. First of all, the Recovery School District didn’t turn more than 100 schools into charters. The city hasn’t even had 100 schools operating in the city at any one time since the storm. 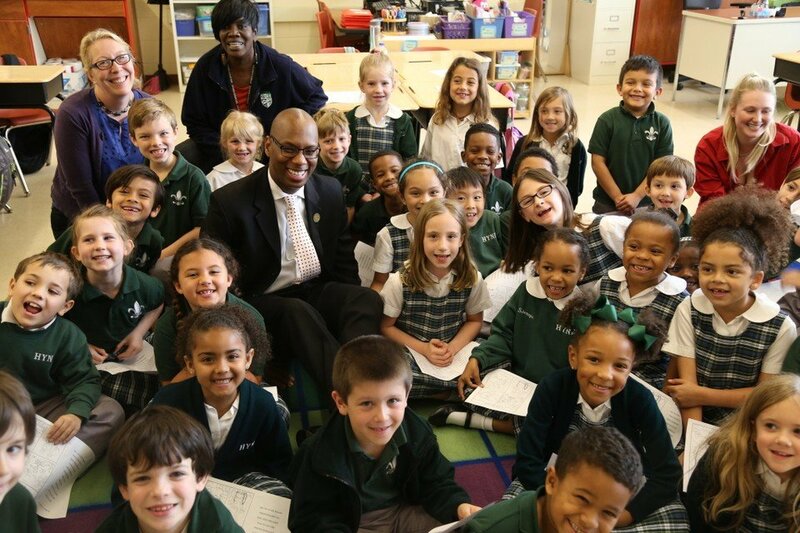 Second, as I’ve repeated ad nauseam over the past several years, there are a handful of traditional public schools still operating in New Orleans – i.e., the school system is not entirely comprised of charter schools. 5. They misrepresent Doug Harris’ research on the academic progress made in New Orleans. 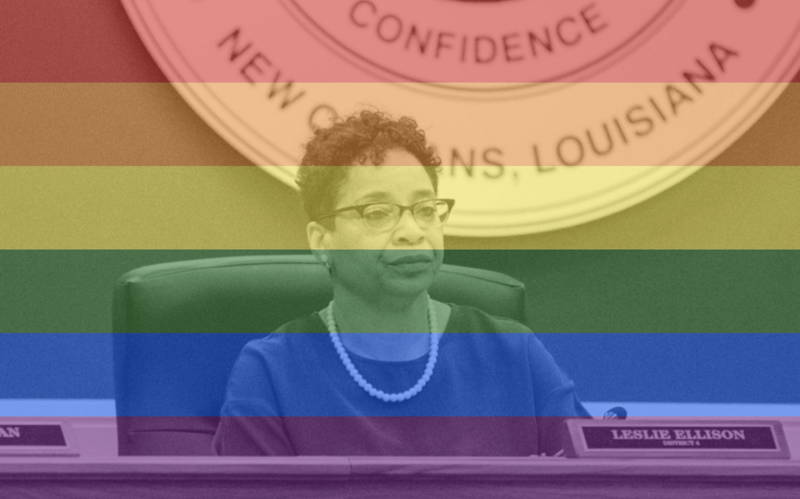 Anyone who wants to debunk the success of New Orleans’ reforms has to deal with Doug Harris. 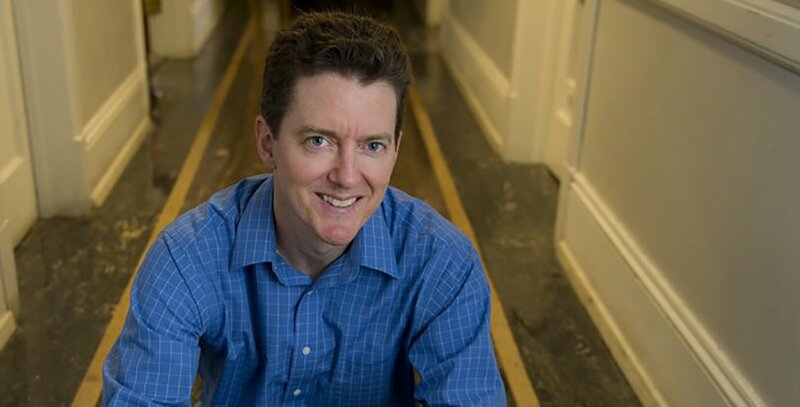 Harris, a professor of economics and director of the Education Research Alliance at Tulane University, co-authored what is considered to be the most comprehensive study of the progress made in the city’s schools since Hurricane Katrina. In their piece, Chávez and Cohen acknowledge the progress in New Orleans, but misrepresent Harris’ conclusions, writing: “Harris’s research shows the city’s schools have improved over the last decade, in part by increasing school funding.” They also link to an interview with Harris in The 74, in an attempt to back their assertion that increased funding can explain the boost in academic achievement. In sum, Harris didn’t find that funding played a significant role in generating the academic gains seen in New Orleans, but Chávez and Cohen intentionally leave readers with the impression that it did. 6. They spin a conspiratorial narrative around bureaucratic inefficiency. Yet for those of us who have actually experienced the aftermath of a major natural disaster, many of the complaints recounted by the authors sound strikingly familiar. Overwhelming and often competing needs, combined with the inefficiencies inherent in any large-scale government undertaking, mean that recovery efforts almost never move fast enough for those awaiting assistance. Lampooning FEMA’s inept response to Katrina became a favorite pastime among New Orleanians. 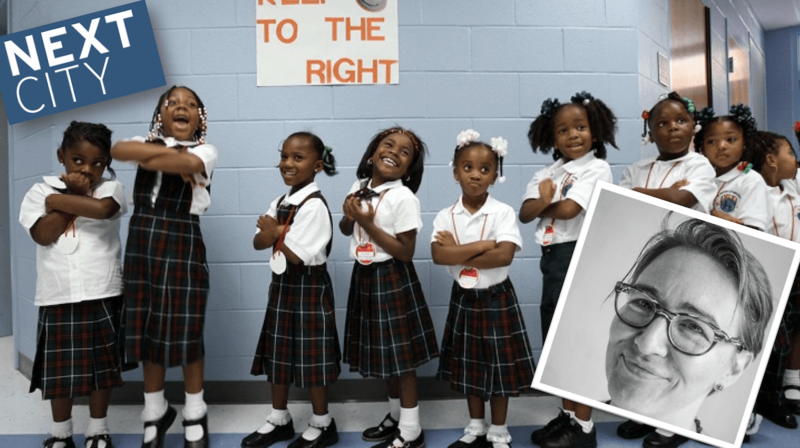 After Hurricane Katrina, it was 13 weeks before the first public school in New Orleans reopened. In the case of Avery Alexander, a school in the Gentilly neighborhood of the city that was inundated by floodwaters during the storm, it took 12 years. Moreover, sluggish progress wasn’t unique to the school system. The Road Home Program, which was established to distribute federal funds to rebuild in areas impacted by Hurricanes Katrina and Rita, became a widely-reviled symbol of bureaucratic incompetence. It took years for Road Home to distribute more than $9 billion in grants to homeowners, a job that the program is still in the process of completing nearly 13 years after the storm. None of this was the result of a conspiracy; it is the nature of the beast. 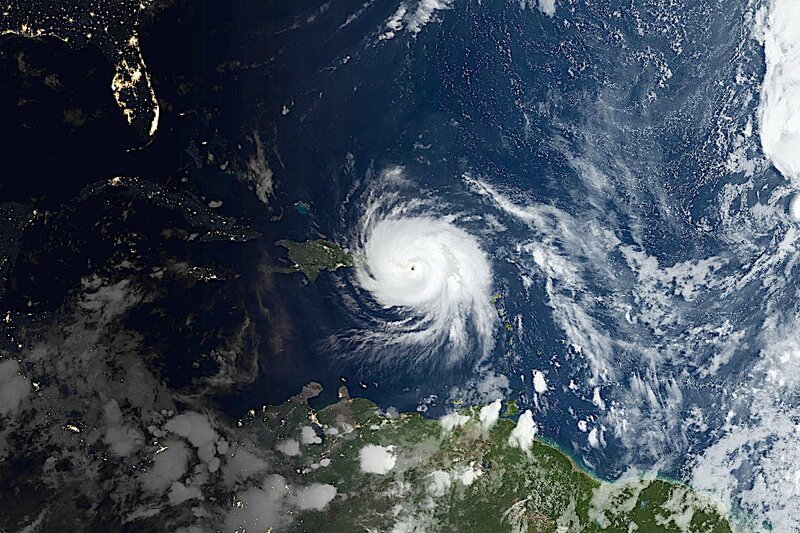 It’s why we call events like Hurricane Katrina and Hurricane Maria “disasters,” not “temporary inconveniences.” Chávez and Cohen’s attempt to spin a conspiratorial narrative around the plight of Puerto Rico’s public schools is irresponsible journalism, and it’s unhelpful to Hurricane Maria’s victims and unfair to officials who are scrambling to reopen schools as quickly as possible. 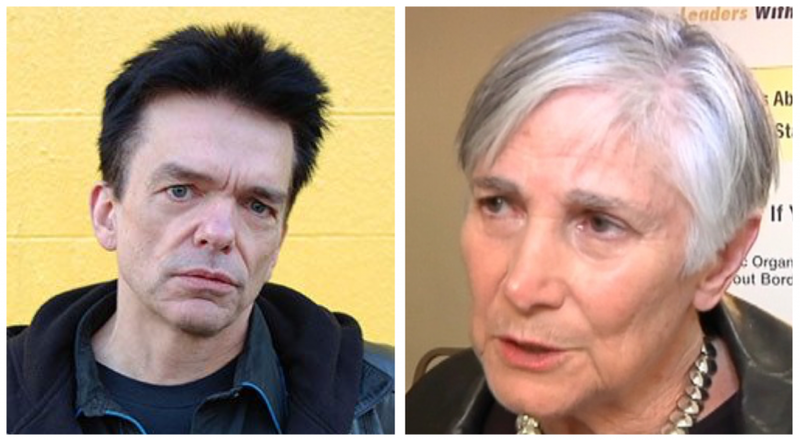 Bill Raden and Diane Ravitch. If you’re familiar with Capital & Main, you know Ravitch’s sentiments are pretty much par-for-the-course when it comes to their education coverage. In addition to softball interviews with folks like Ravitch and American Federation of Teachers (AFT) president Randi Weingarten, they’ve published unflattering profiles of reform advocates such as Los Angeles school board member Nick Melvoin, Netflix founder Reed Hastings, and Gap co-founder Doris Fisher. Charter schools are also a favorite target for abuse in the pages of Capital & Main, whether they’re comparing them to fast-food franchises or portraying them as profit-seeking corporate enterprises. But even if the name Capital & Main doesn’t ring a bell, it’s quite possible you’ve encountered their work without even realizing it. Over the past few years, they’ve co-published dozens of articles with mainstream news organizations, including The Atlantic, The Guardian, Newsweek, Time, Slate, Pacific Standard, Fast Company, and the International Business Times. Their pieces have also appeared on less reputable news sites, such as The Nation, The American Prospect, Salon, Huffington Post, and AlterNet, among others. Screenshot from Capital & Main’s website. The accolades Capital & Main has received from journalists and the legitimacy conferred to them by mainstream media outlets is not only surprising, but also disturbing in our age of “fake news.” I say this because although they pose as a non-profit news organization, they’re essentially a front for organized labor – including the teachers unions – and as such, work to further the unions’ agenda. Capital & Main was originally launched by the Los Angeles Alliance for a New Economy (LAANE), back in 2013 (LAANE actually owned Capital & Main’s web domain until at least May of this year, when it was renewed anonymously). Of LAANE’s 16 board members, seven are officials from unions affiliated with the AFL-CIO, two work for organizations (UCLA Labor Center and California Calls) that have received funding from AFT, and one is an organizer with the California Teachers Association. In November 2015, Capital & Main registered as its own 501(c)(3) organization, but the spinoff from LAANE appears to be largely cosmetic, as the two organizations still share the same office in the Westlake section of Los Angeles (along with another union-affiliated group, Clergy and Laity United for Economic Justice). Plus, Capital & Main’s publisher, Danny Feingold, previously worked as LAANE’s communications director and another long-time LAANE employee serves on its board of directors. The unions have also retained their influence over Capital & Main in the wake of the split. Its board includes officials from the California School Employees Association, SEIU California State Council, United Nurses Association of California, and California Teachers Association. They’re joined by Harold Meyerson, the executive editor of The American Prospect, which has received $310,000 from AFT and the National Education Association (NEA) over the past four years.1 In addition, Capital & Main has received substantial funding from various labor organizations since it was founded by LAANE, including $110,000 from the California Federation of Teachers. The unions represented on Capital & Main’s board of directors. 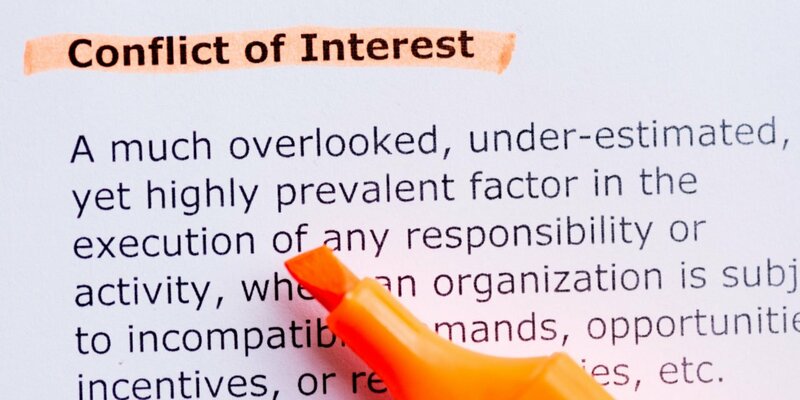 Although legitimate news organizations would take pains to acknowledge these potential conflicts-of-interest, you won’t find disclosures about Capital & Main’s ties to organized labor appended to their reports on education or other relevant topics. The same goes for those articles co-published by other media outlets. Are LAANE and Capital & Main breaking the law? When unions report their expenditures on their annual reports to the U.S. Department of Labor, they have to classify them into one of five categories: Contributions, Gifts and Grants; General Overhead; Political Activities; Representational Activities; and Union Administration. Why does this matter? Because many of the contributions given by the unions to LAANE and Capital & Main – such as those from the California Federation of Teachers – are reported as “Political Activities” expenditures. However, LAANE and Capital & Main are 501(c)(3) organizations and are therefore prohibited by both federal law and California law from engaging in political activities. 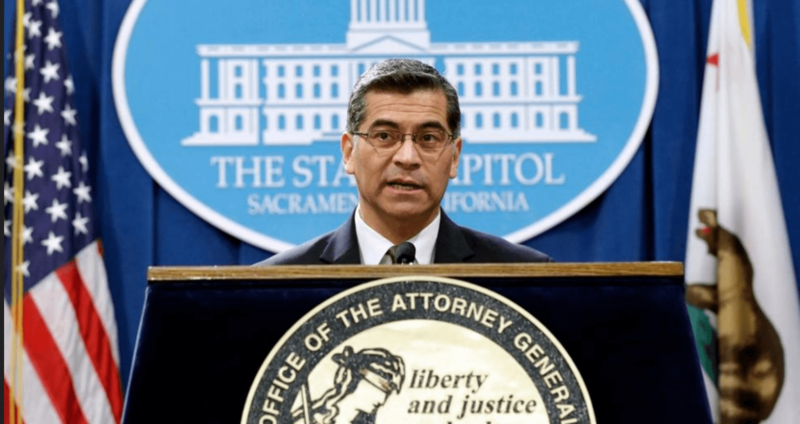 In fact, earlier this spring, California Attorney General Xavier Becerra announced that he intends to crackdown on tax-exempt organizations that are engaging in politics. Whether or not their activities on behalf of the unions rise to a level that would put their non-profit status at risk is unclear, but the fact that Capital & Main has accepted money from labor organizations that is explicitly intended to further political aims shreds any claim they have as a legitimate journalistic enterprise. It also calls into question the due diligence of those mainstream news outlets that have published Capital & Main’s work, presenting it to readers as objective journalism rather than political advocacy. Perhaps this is something we should keep in mind the next time one side of the education reform debate accuses the other of selling snake oil.